DT-11 Black Edition Sporting Clays - 12 gauge, 32" barrels, Beretta B-Fast adjustable comb, carbon fiber rib and trigger housing, Weight system for in stock and under forearm. All matte black finish, comes with 5 extended Optima HP choke tubes in Beretta case. NEW B-Fast Barrel balancing system: The balance and pointability of the DT11 Sporting Black Edition can be perfectly optimized with an adjustable set of barrel weights. The B-Fast Barrel Balancing System comes with multiple weight in varying increments and attaches to the side rib of the barrels and is concealed under the fore end. When combined with the B-Fast Stockbalancing system the DT11 Sporting Black Edition can be perfectly bespoke to the shooter. B-Fast adjustable stock: the perfect and final solution for stock adjustability, made of solid metal and a reliable fixing solution. 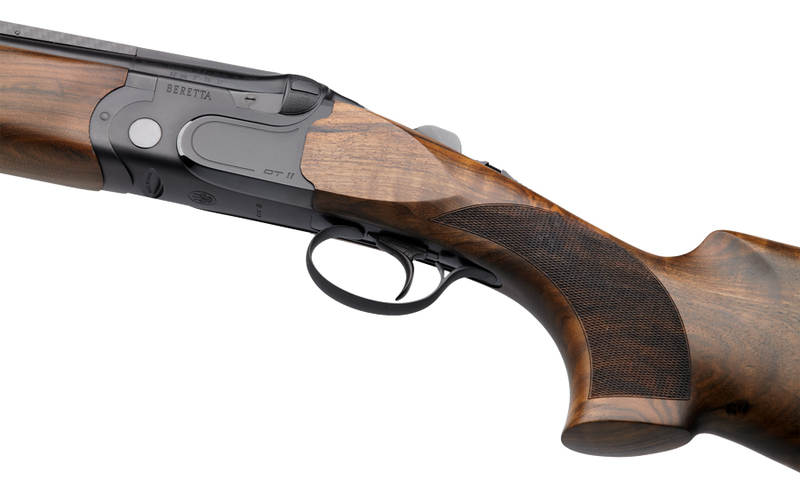 The best adjustable stock system ever made by Beretta.